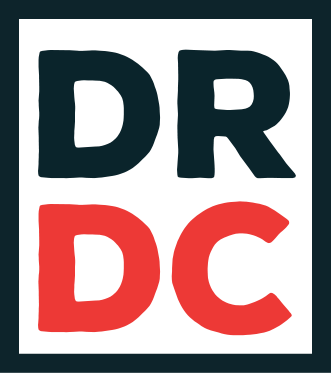 Doctor DC Podcast | Diametrically Opposed: Ambush Bug / Argh!Yle! Diametrically Opposed: Ambush Bug / Argh!Yle! 19 Jun Diametrically Opposed: Ambush Bug / Argh!Yle! Superheroes take themselves rather seriously. This applies both in-universe and in the context of the medium of comic books. Even in the Golden Age – an era we now look back on with a sort of patronizing nostalgia – the adventures and motives of the superhero were not meant to be taken lightly. They read that way now, but at the time they were are serious as they could be. And despite a brief dip into camp during the 1960s, that pattern has not changed, though in practice it manifests differently now than it did before. But seriousness is the last word to describe Ambush Bug and his archenemy Argh!Yle! – an unlikely pair of characters who exist as parodies of the superhero genre. Their wacky adventures swerve aggressively into silliness and lunacy, but their longevity is still owed to the fundamental structure of the mythology of their rivalry – one of the few elements of the characters that is not parody. With the planet Schwab about to explode (supposedly), an alien man named Brum-El launched a small rocketship containing the clothes he wanted to save. The ship was intercepted in deep space by a radioactive spider-being and only two items of clothing survived, one of which was the Ambush Bug suit – a green full body suit made with highly advanced technology. The suit ended up on Earth, where it was found by Irwin Schwab who put it on and became the Ambush Bug. At first, Schwab used the power of the suit to commit crimes, but after being stopped a few times by Superman, Ambush Bug developed an obsession with the Man of Steel, possibly due to the similarity of their origins. Ambush Bug resolved to change his ways and become a hero worth of the legacy of Superman, though his scatterbrained nature meant that he lacked the respect of the hero community. Irwin Schwab is no longer able to remove the suit, which has become a permanent part of his body. The suit grants him a variety of powers, including enhanced endurance and resistance to damage. He also has the power to teleport – an ability originally granted by nanobots that would pull the rest of the suit through space, taking him along with it. Eventually, Ambush Bug was able to control his teleportation ability without the use of the nanobots. He also has the power of “dumb luck”, which enables him to unwittingly be in the right place at the right time, to avoid harm, or to otherwise accidentally come out on top. His most peculiar ability, however, is that he is aware that he is in a comic book, frequently breaking the fourth wall and addressing the reader as well as DC’s editorial staff. 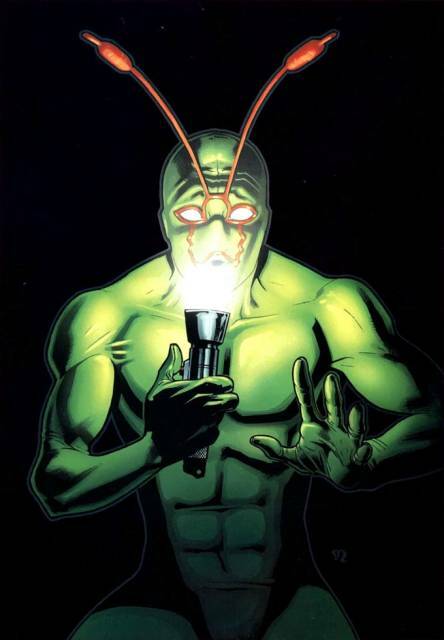 Given the role that comic books play in the mythology – acting as windows between Multiversal worlds – one could argue that Ambush Bug has the power to see through the Multiverse itself. Despite his bizarre and wacky self-contained adventures, Ambush Bug frequently interacts with other characters in the DC Universe, and has been a member of both the Doom Patrol and the Justice League of America (albeit briefly). When the spaceship carrying Brum-El’s clothing was destroyed, the only piece of clothing to survive aside from the Ambush Bug suit was a single argyle sock. Affected by the radiation of the giant space spider, the sock gained sentience and eventually wound up on Earth as well, but was overlooked by Irwin Schwab when he took the Ambush Bug suit. Wandering the streets, the sock mourned the death of his wife, Marnie – who did not survive the encounter with the space spider – and developed a bitter hatred of Irwin Schwab for abandoning him. After being horrifically mauled by a street cat, the sock found its way to a laboratory filled with advanced technology and masked his disfigurement with an advance metal face, becoming Argh!Yle! and swearing vengeance on Ambush Bug. The same radiation that granted him sentience also bestowed Argh!Yle! with a genius-level intellect. He is a master of various scientific disciplines – from engineering to chemistry to biology – and uses his superior intelligence to combat Ambush Bug. He was able to recreate the conditions of his own awakening, building an army of sentient socks he stole from laundromats. 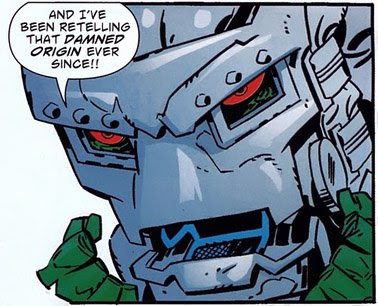 He was also the architect of the Bureau, a dresser-shaped orbiting space station that served as his headquarters, from which he could launch coordinated attacks against Ambush Bug. Argh!Yle! has also claimed to possess the powers of the socks belonging to the Legion of Super-Heroes, but the extent of these supposed powers is still unknown. Argh!Yle! has never associated himself with any other supervillains or organizations, instead preferring to take on his arch-nemesis alone. Despite serving as an unabashed parody of the entire superhero genre in general, Ambush Bug and Argh!Yle!’s rivalry is just as mythologically sound as ones that take themselves more seriously. There is an interesting dynamic to be found in the clothing aspect of their existence. Ambush Bug may now refer to the hero as a whole, but it was, in fact, the name of the suit even before Irwin Schwab put it on. Nearly everything that makes Ambush Bug who he is comes from the suit itself – he could not be a hero (or villain, as he briefly was) without the powers inherent to the suit. Of course, the suit itself has no personality – that is the true contribution of Irwin Schwab to Ambush Bug. But one could argue that the suit remains in control, even going so far as to permanently adhere to Schwab. Essentially, Irwin Schwab no longer wears the suit; he has become part of the suit. Argh!Yle! is the exact opposite. All of what he is can be qualified as a human trait. There is nothing inherent to being a sock that contributes to his superpowers or his other traits. Where Ambush Bug is a man turned into a walking, talking article of clothing, Argh!Yle! is a walking, talking article of clothing attempting to masquerade as a man. 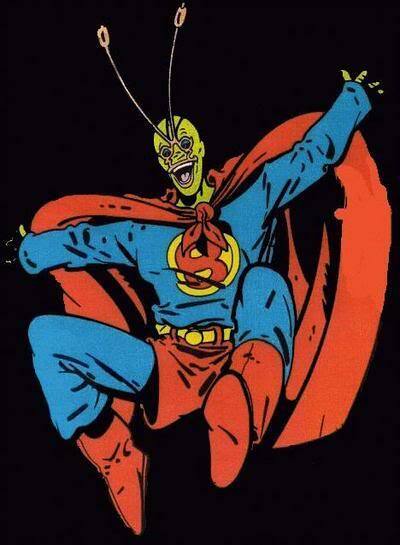 Ambush Bug is also defined in part by his obsession with Superman. Though he started out as an adversary, he grew to admire Superman and became desperate to seek his approval. At one point, this led to him giving Superman a gift which turned out to be red kryptonite, accidentally swapping their bodies and allowing Ambush Bug, briefly, to live out his dream of being the Man of Steel. Argh!Yle!’s relationship to Superman is not based in fandom nor respect. In fact, one of his greatest schemes involved ripping off Superman. Dubbed “The Plan of Steel”, Argh!Yle! hoped to defeat Ambush Bug using an unlicensed copy of Superman’s boot. DC’s editorial staff intervene in-universe and destroy the Bureau to punish Argh!Yle! for violating Superman’s copywright. But most importantly, though perhaps also most obviously, the two are differentiated by their powers. When the radiation of the space spider gave Argh!Yle! his sentience, it didn’t just give him life and self-awareness, it granted him an intelligence far superior to average beings. His scientific and technological mastery are a direct result of that superior intellect and represents the only real power that he possesses. As a sentient sock, Argh!Yle! has no demonstrable physical strength – he was mauled and disfigured by a cat – and therefore must rely on his intelligence to pose a real threat. By contrast, Ambush Bug’s powers are intensely physical in nature. The act of teleportation represents a manipulation of physical space, and his additional powers of endurance and limited invulnerability are also physical in nature. And though the suit utilizes advanced technology, Irwin Schwab does not fully understand its intricacies. In fact, Schwab is of comically average intelligence, often stumbling and bumbling his way into saving the day or foiling the plans of his enemies. In essence, their rivalry can be broken down into a battle of brawn and brains. Ambush Bug and Argh!Yle! exist in an obscure and bizarre corner of the mythology, one which bends the fundamental rules of storytelling and readership by acknowledging their existence as constructs within a comic book. They are a chaotic comedic force, parodying both in-universe and real-world people, events, and themes. And yet, for all their irreverent insanity, their rivalry is surprisingly sound, based in the same principles of opposition as the most serious and “legitimate” arch-rivalries in the mythology.